Last week, I attended the O’Reilly Solid Conference, focusing on solid – the intersection of hardware + software + physical things. While hardware and software have existed for decades and are mature in their own rights, it is often the intersection of disparate things that creates innovation though collisions of innovation. And so over 1,400 curious people gathered together to collide. I wasn’t sure what to expect of conference. I am passionate about hardware + software and the new possibilities for interactions and solutions that it enables. And while wasn’t exactly what I thought it would be, it surprised, delighted, and taught me, leaving me hopeful and inspired in the future of solid. While I’ll share some focused takeaways and observations in the remainder of this post, perhaps the thing that made the biggest impression on me was the diversity of the attendees and speakers. From professors to mechanical engineers to startup founders to artists to hackers to industrial designers to the just interested, solid is well poised to collide ideas to enable new and unexpected outcomes. It will be interesting to see the collisions it creates in the future, as well as who composes the community in the coming years. Don’t make a better solution for an unnecessary process. Focus on the user’s desired outcome and make a solution for that. Hardware + software enables new solutions that were hard or impossible previously. Think about how things should work, not how they do work. This may mean remaking or even eliminating a process. Disruptive change. Hardware should know us. And it shouldn’t require a separate identity for each device. It should know our preferences and learn about us, no matter where we are. We need single sign on for the physical world. We should be able to interact with the whole world, not just a lightbulb in our living room. The entire would should be a continuous interaction. Making is still too hard, but lots of people and companies are working hard to make it easier. There is a huge complexity difference between 3D printing and CNC. Additional complexity is free in 3D printing while it’s not in CNC due to extra fixturing, rotation, etc. Also new making machines and materials are enabling new solutions like combo CAD / CAM / CNC / Laser / 3D printing all in one. Most remaining problems in the world are physical and require a physical solution, be that hardware + software / etc, to solve them. Software can partially solve it, but can’t bring a full solution to bear alone. We have tons of gadgets that don’t interact with each other. They need to be able to interact. 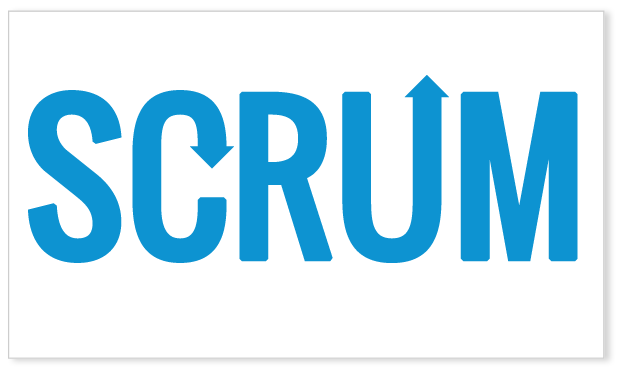 Users want outcomes not brand specific ecosystems and proprietary closed solutions. Prototypes spark conversations. Build hardware prototypes fast, fail fast, fail often = more time to iterate and make it great. Sometimes the prototype is just a conversation starter – a way to get other people sharing their perspectives, even if they drastically change your initial direction. Also, firmware can be used to dramatically iterate a physical product. You are the button. Hardware enables new methods of interaction. Maybe it’s where you are. Maybe it’s where you aren’t. Maybe it’s where you’re pointing. Maybe it’s who you’re with. Maybe it’s tapping one device to another. Maybe it’s flicking content from one device to another. Reimagine. Be playful. Some things will stick, the rest will be fun. Hardware can be soft. Just because something is physical doesn’t mean it must be rigid and frozen. Fabrics and flexible materials enable soft hardware, much like humans and animals with skin, mussels, and bone. And often these are simpler to implement. Temboo: A service for orchestrating the Internet of Things, offering integrations with 100s of APIs and 1000s of API Calls. Helps to limit the resources needed on limited resource embedded devices. Mellow: A home sous vide machine for cooking food, design more like the Nest in terms of thinking about real use cases you care about. Examples: It keeps food cold and starts it later in the day so it’s ready when you arrive home. It asks you how you liked your meal and learn about you to better suite your needs in the future. I love things the speak, and Mellow is a great example. Node Red: A visual editor for Node.js to orchestrate interactions between the Internet of Things. MQTT: A broker for publishing and subscribing to data using a lightweight protocol, limiting the resources needed on limited resource embedded devices. noam.io: A service for rapid hardware prototyping through easy data storage. We’ve come so far, but we are only at the beginning… Some of these things may take years or decades to mature, but the attendees of Soid are leading the way. I remember the first time I visited my friend Jim at college many years ago. Upon walking into his small two person dorm room, the first thing I noticed was all the Polaroid photos hanging around his door frame – of smiling friends and a few funny faces. Jim had a tradition of taking a Polaroid picture when someone new visited him – a way to remember all the great people that one encounters at college. I’ve always had a love of candid photography – photos the capture the essence of a moment or a person. Photobooths and Polaroids are great tools for capturing candid pictures – they’re easy, quick, and produce a tangible result. A basic prototype of TinkurBooth. While I still love the Four Frames Photobooth, it takes a bit of time to transport, set up, and take down. Although Four Frames Photobooth has had a busy life – attending multiple weddings, a few business parties, and even a happy hour – I wanted something the would be, well, easier, quicker, and a ‘lil bit more playful. Meet TinkurBooth – a platform for taking quick and candid photos with endless possibilities for innovation. TinkurBooth was my first project using a Rasberry Pi. 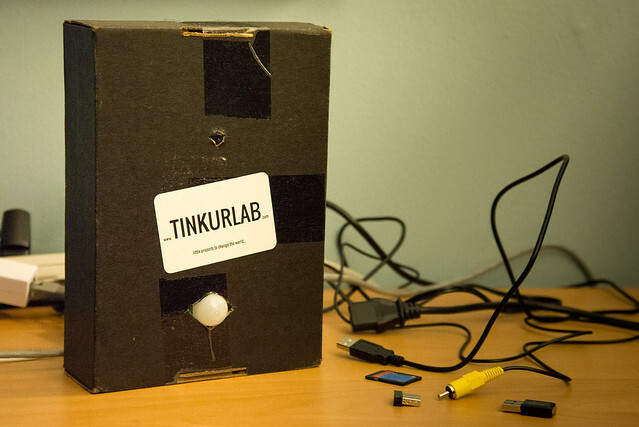 Many of TinkurLab’s creations have already used microcontrollers such as the Arduino. However, I’ve been looking for an excuse to try a Raspberry Pi. Not only are Pis cheap ($30-40) the Pi Camera module is also cheap ($30) and you can use a cheap ($10) wi-fi adapter for connectivity – < $100 for a photobooth is a pretty good deal. And honestly, there’s just something geekily awesome about taking pictures using shell commands and switches! I wanted TinkurBooth to be more then a “once and done” photobooth. I wanted it to be a platform for experimentation and play – for trying new ideas. Coming from my day job as an agile leader and coach, I am often reminded about the countless opportunities for experimentation – to try new things, test a hypothesis, and validate the outcome. The TinkurBooth experience is built around four steps, which allow for many possibilities: Trigger + Interaction + Capture + Sharing. “Aren’t you going a bit too far? It’s just a photobooth!” is what you’re probably thinking right now. Let me explain. Thinking of each of these steps as separate but related, helps me think about the possibilities of changing one or more of the steps to create a different experience that engages different people in different ways. For example, one day the TinkurBooth could use a motion trigger while another day it could use a sound trigger that listens for a clap. As another example, TinkurBooth could capture a single black and white photo one day while another day it could take four photos and merge them into an animated GIF. In fact, my goal for the next year is to have a new version of TinkurBooth every month or two to see how each variation changes the user experience. And let’s not forget about the possibility of mashups such as Distance + Time. For example, an early prototype of TinkurBooth required the user to be standing within a 2 foot area before it would take a picture. Too close and it would yell at you to stand back. Too far away and it would start to worry and ask you to come back. Really far away and it would ask you to come play. And if you stood in just the right spot for two seconds, with would take your picture. Engage: In the Distance + Time example above, the photobooth is playful, using an LCD screen with text based on distance and time to engage the user. Inform: The LCD screen could also be used to tell the user how to interact with the photobooth. In the above example, before starting taking pictures, the photobooth asked the user to make a funny face and then showed the user a random word such as “crazy” just before taking the picture. Give and Take: Interaction could also consist of the user providing something, such as their Twitter username, in return for the photobooth taking a picture. The photobooth could then use the Twitter username to tag the photo. However, before experimenting with variations, I had to create a working prototype. There are lots of great tutorials and troubleshooting posts all over the Internet, so I won’t provide step by step instructions here. However, if you have specific questions, feel free to contact me. One of the first animated GIF examples posted to Tumblr http://tinkurbooth.tumblr.com/ by TinkurBooth. Stay tuned for future posts about TinkurBooth. Forth the 1st “TinkurBooth” of the month, I’m going to be creating a version that is activated by distance and uses an LCD screen to interact with the user asking them to play a game to act out a event that will be turned into an animated GIF. And if you’re wondering about that Polaroid from Jim’s dorm room, here’s it is – Jim, Adam, and Val. There’s a stereotype out there – that agile teams use a lot of sticky notes. Well guess what – it’s true! 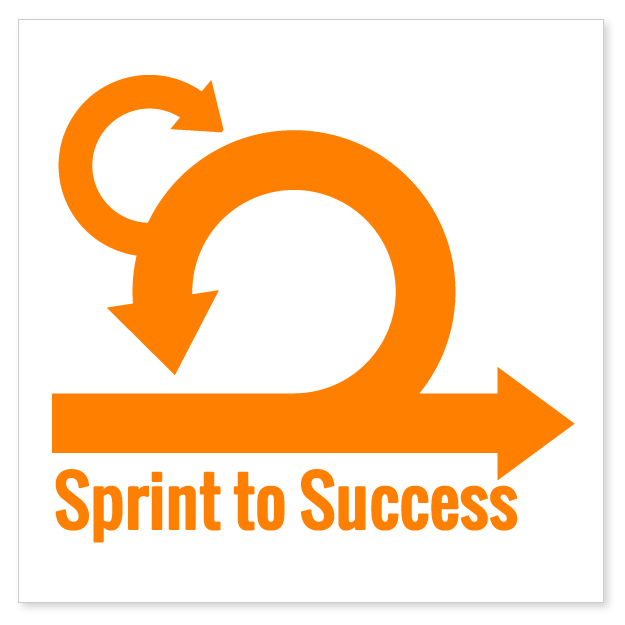 If you walk around the workspace of almost any agile team, you are likely to see countless colorful sticky notes on walls and windows everywhere. But why? In my experience, sticky notes are one of the most powerful and versatile tools for collaboration I’ve ever used – including software tools. But I’ve also learned it can take a bit of convincing and learning by doing to help others understand the “Power of Post-Its“. Through a series of blog posts, I hope to turn you into a believer too! As an agile practitioner and coach, I am often facilitating collaborative sessions – to brainstorm, to prioritize, to turn a vision into a plan, to collect feedback, to estimate, to sync on progress. And my number one tool of choice are sticky notes. The seemingly simple pieces of paper are a powerful tool to get the whole team to participate and rapidly share their knowledge and perspectives while collaborating towards a shared goal. Capturing a thought on a sticky note is quick. Just grab a pen or Sharpie marker – my favorite writing implement – and jot down your thought in a few words. Great! Now write down another. And another. Awesome – you’re rapidly brainstorming! With limited time and attention it’s often important to distill the most important facts down to a few meaningful words or sentences – or a picture. Sticky notes have a finite amount of space, requiring each note to contain a simple and focused idea. Can’t fit it all one sticky note? Good – use a second and third, making sure each item is focused. I bet you didn’t think less space was a good thing! Sticky notes allow a whole team of people to brainstorm independently at the same time. Just ask each person to write down as many ideas as they can within a 5 to 10 minute time box. Don’t worry about evaluating, discussing, or prioritizing sticky notes yet. Brainstorming is all about unfiltered idea anyway. And by asking everyone to work in parallel without discussion, you’ll get lots of ideas written down. 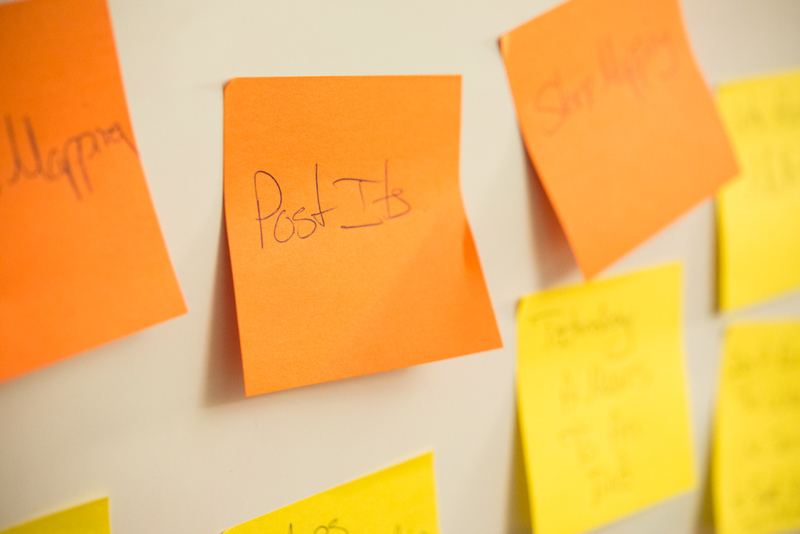 Sticky notes stick to just about anything – walls, windows, desks – especially the Super Sticky Post-It Notes which I highly recommend. When I’m facilitating collaborative sessions, I often use painter’s or artist’s tape to create an appropriate set of buckets on the wall and then ask team members to add their sticky notes to each area. For example, while facilitating an team retrospective to determine how to improve the team and their process, I’ll make buckets such as “do more of”, “do less of”, “what if…”. One of my favorite reasons for using sticky notes is that they’re colorful and visible. By putting your sticky notes in a public space such as an office wall, you and your team are constantly reminded of the sticky notes and encourage others to check out what’s happening. It’s a great way to radiate information and invite other to participate in collaboration. You can touch a sticky note. It’s real. When you’re discussing it, you can pick it up so others know which thing you’re talking about. When you’ve made progress, you can move it from an in progress bucket to a done bucket. 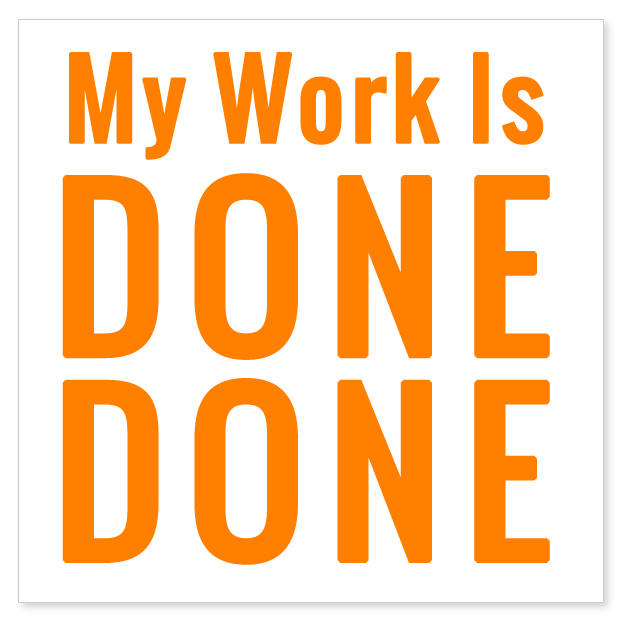 When you’re done done with it you can tear it up and throw it away – my favorite! Just like software tools, sticky notes can support just about any process and metadata you can invent. Want to track new features vs. defect – use different colored sticky notes. Want to track how many days something has been in progress – add a dot to the lower left corner of the sticky note each day. 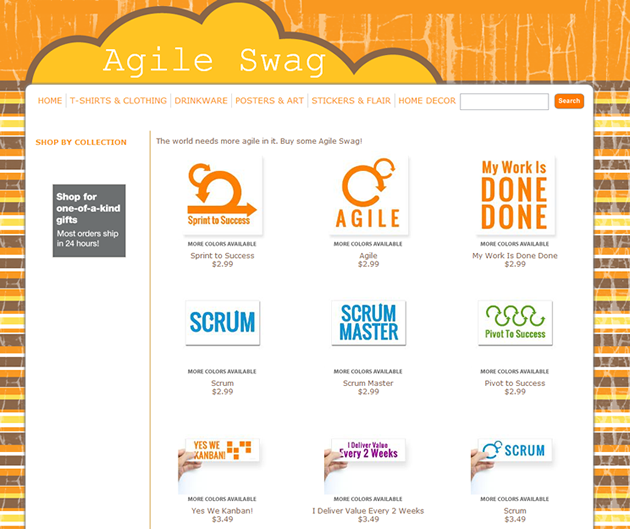 Want to track who’s working on what – give each person a unique sticker to add to sticky notes. Combined with a wall or window and some painter’s tape to create some buckets, sticky notes make a great system to track just about anything. And best of all – they’re built to be moved around over and over and over. Try reconfiguring your software tools to match your process that quickly! While I also use many other agile tools, sticky notes are one of my favorite. Try it out yourself and see if you become a believer! Or check out some other team’s sticky notes. What’s the best tool in our hackerspace workshop? A Dremel. Hands down. Tales of Tools and a Panning Timelapse GoPro Timer. So what is the best tool in TinkurLab’s workshop? A Dremel! Hands down! Well, 1 minute quick drying epoxy is a close second, but let’s save that for another day. It can cut. I can grind. It can drill. It can route. It can sand. It can polish. It’s pretty small. You can get new bits cheap. So how did we get to this epiphany? I recently completed a small project to update my timelapse panning timer – affectionately named TinkurLapse. 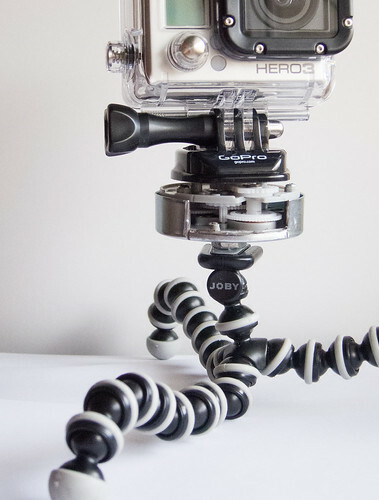 TinkurLapse rotates my GoPro camera as it takes a photo every few seconds, creating a panning timelapse video. My original timer was basically a $2 Ikea kitchen timer with a ¼”x20 screw glued to it to screw into the GoPro’s tripod mount. BTW a standard camera tripod mount takes a – you guessed it – ¼”x20 screw. Remember that for your next trivia night. Anyway, in the spirit of most Tinkurlab projects, the goal was to get a minimally viable product out the door quickly to start really learning about it and to make improvements. “Learning by doing” in other words. And learn I did. While the first version of TinkurLapse worked, it had a few issues. First and foremost, having a tiny base, relatively high height, and very light weight resulted in an unbalanced base for the GoPro which easily fell over. Many early experiments resulted in setting the camera up for a 60 minute timelapse only to return after an hour to find the camera lying sideways rotating the timer under its base. Pretty uneventful video! The other issue was its size. While it wasn’t huge, it wasn’t small either. Given that most of my GoPro shooting occurs during travels and adventures like hiking, skiing, etc, it would be ideal to make the panning timer as small as possible. While the first version of the panning timer worked, I didn’t use it very much. It just wasn’t good enough for me. I value it provided didn’t overcome the cost of using it. My goal of creating awesome panning timelapse videos was blocked. So one day while aimlessly wandering the Internet, I decided to search for a prebuilt device. I know – it was a moment of weakness. How un-DIY of me. There are not very many panning timelapse devices on the market (at least not under less than a few $100s for professional use), but while browsing through the catalog of Photojojo, I came across the Camalapse. However, aside from the $30 price tag, it has the same problem as the first version of TinkurLapse – not stable enough. Camalapse is only 2 ounces, with a small base. A featherweight. However, it does support mounting to a tripod to provide a more stable base, so it has potential. After knocking some sense into myself, I set out to research ways to improve the initial design. I found a great video from a serious panning timelapser, who posted a great tutorial. The tutorial suggested using the same Ikea kitchen timer I used in the first version of TinkurLapse – no problem, I bought 3x just for this reason. The tutorial also had some other great ideas – remove the done bell as to not scare all people and wildlife in 1 mile radius, and mounting the timer to a Gorillapod tripod to provide a more stable base. Perfect! Enter the Dremel. After some drilling, grinding, and gluing I had completed version two of TinkurLapse. On to testing. The initial test run resulted in rotation of about 90 degrees before stopping. After some investigation, I determined that excess glue and some of the timer’s parts were obstructing the rotation of the GoPro mount. What to do? Dremel it! After some precise grinding and sanding, I had trimmed down the responsible obstructions. The next test passed without issue, even removing the annoying done bell at the end. TinkurLapse v2 is ready for some more real world testing! I’m looking forward to a few upcoming skiing trips to use the new TinkurLapse. I’ll post some videos. Until then, happy tinkering!